[LP cover of Shandar 83 503. 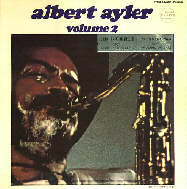 [CD cover of Water 103. 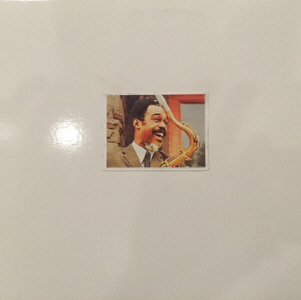 [CD cover of Jazz View 005. 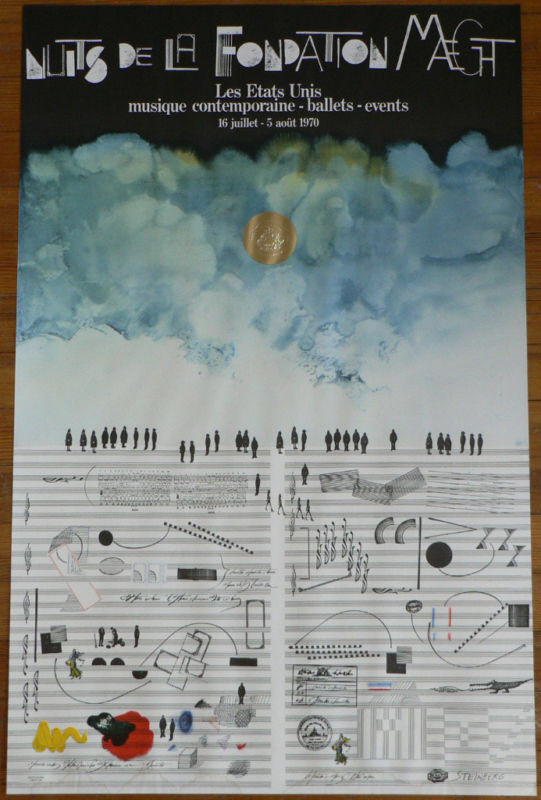 [Cover of Shandar 83503/83504 double LP. 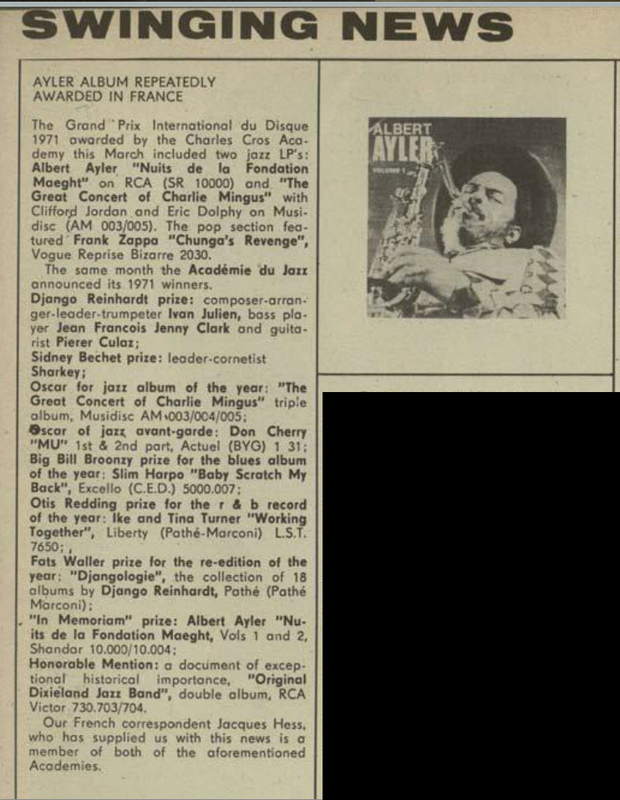 Tracks 1 to 4 released as Albert Ayler - Nuits de la Fondation Maeght: Volume 1 on Shandar (France) SR10.000 and SH 83503, RCA (Japan) SHP6201, Jazz View 004 (CD), Water 501 (LP), B13 (Russia) B144 LP (white vinyl). 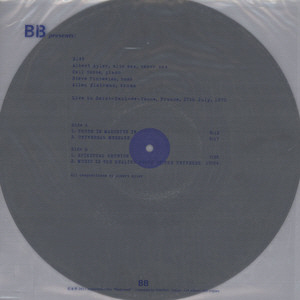 B13 (Russia) B145 LP (grey vinyl). All tracks issued on Shandar (France) double LP 83503/83504. In 2002 on single CD, Water 103, and in 2005 as Nuits de la Fondation Maeght 1970 on Lonehill Jazz (Spain) LHJ10215. 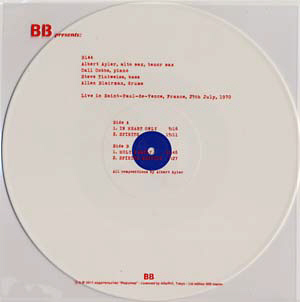 B13 (Russia) also issued B144 and B145 as a double LP set. 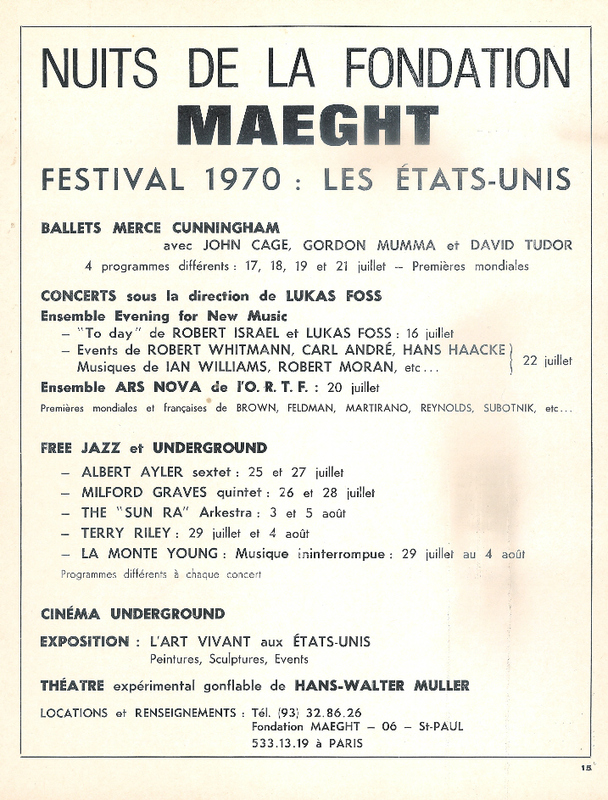 Original poster designed by Saul Steinberg for the Nuits de la Fondation Maeght concerts in 1970.